Bruxism or Teeth Grinding refers to persistent grinding and clenching of the teeth, inadvertently, and at wrong times. Bruxers (individuals with bruxism) are often ignorant that they have developed this habit, and often do not know that treatment is available until damage to the mouth and teeth have been done. Sleep Bruxism. Patient subconsciously grinds teeth and squeezes your jaw muscles in sleep. Partners may take notice of the grinding or clenching, which can be noisy. Secondary Bruxism. It is caused by another condition such as depression or anxiety, medication such as antidepressants or drugs. Bruxism or Teeth Grinding can be caused not just by stress and anxiety but also by sleep disorders, an abnormal bite or teeth that are missing or crooked. Bruxism often affects persons with nervous tension such as anger, pain, or frustration, and/or persons with aggressive, hurried, or overly competitive tendencies. 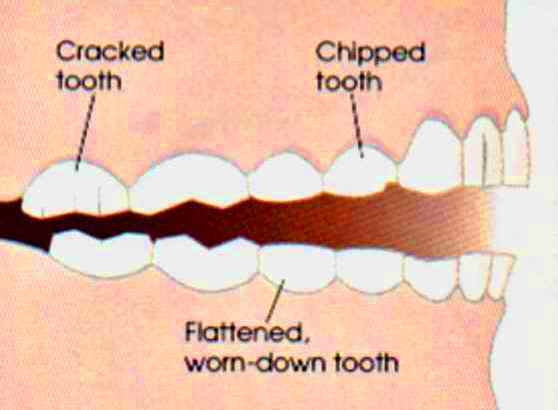 The teeth are examined for evidence of Bruxism, it is often pointed out by the tips of the teeth appearing flat. If signs and symptoms are present, the condition will be monitored for changes over the several subsequent visits before a treatment program is established. Educating the patient how to rest his/her tongue, teeth, and lips properly, and training how to rest the tongue upward may ease discomfort on the jaw while keeping the teeth apart and lips closed. 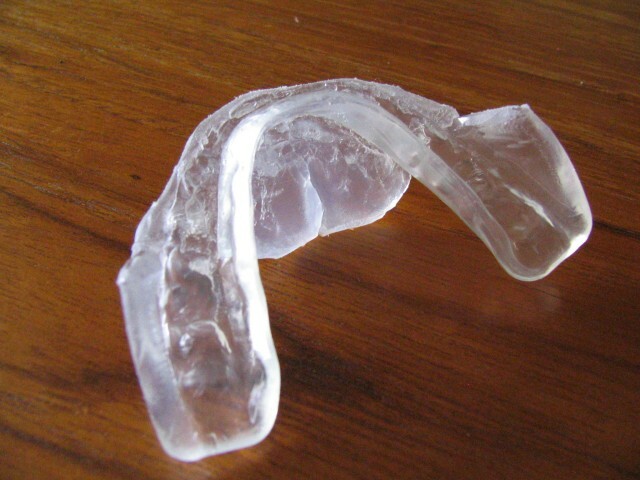 An especially built-in plastic mouth appliance may be worn at night to absorb the power of biting. This appliance may be of assistance to prevent future damage to the teeth and assist in changing the patient’s behavior. Biofeedback involves an electronic instrument that measures the amount of muscle activity of the mouth and jaw. It indicates the patient when too much muscle activity is taking place so that the behavior can be changed. This is especially helpful for daytime bruxers.